The Kids Nordic Hooded Jacket from Jack Wolfskin is perfect for junior Jack Frosts and little snow princesses. 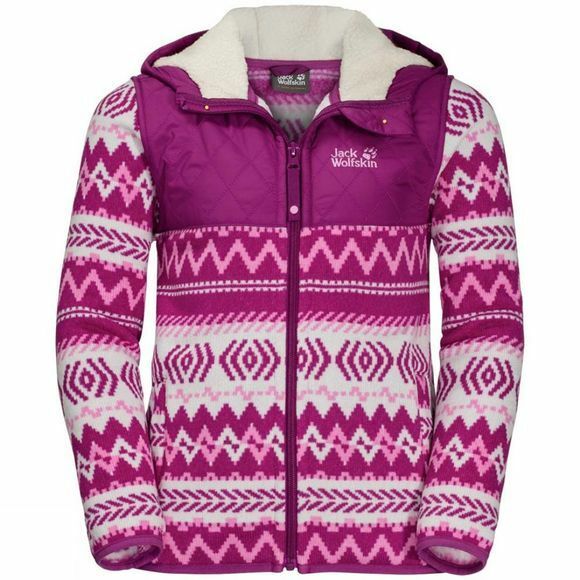 This jacket features a vibrant Scandinavian pattern and will keep your little ones warm and cosy as they stomp through the freshly fallen snow. The thick fleece fabric has a knitted exterior and a soft, brushed reverse side that feels very comfortable next to the skin. The hood has a warm and cosy synthetic lambswool Lining. The hood and shoulders are lightly padded and covered in a wind resistant fabric for added protection from the cold north wind.